What’s the strumming pattern in the chorus? Its not that easy for the begginers, please dont assume the experience of other people. And have a nice day. If you tune your uke down a half step so it A#,B,D#,G# it sounds really good and for this you do not transpose it. you play the f from the previous line, you hold a chord until instructed otherwise- by another chord. Coldplay is a British alternative rock band, formed in London, United Kingdom in 1997. 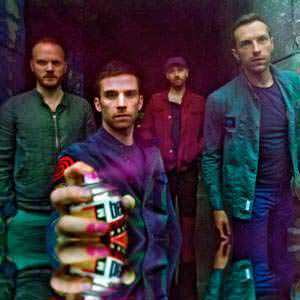 The band comprises vocalist and pianist Chris Martin, lead guitarist Jonny Buckland, bassist Guy Berryman, and drummer Will Champion. Having released four successful albums, (all of which debuted at #1 on the UK album chart) Coldplay have also achieved great success with their singles, such as Yellow, Speed of Sound, the Grammy-winning Clocks and the US and UK #1 single Viva la Vida. Frontman Chris Martin credits 1980s Norwegian pop band a-ha for inspiring him to form his own band. .